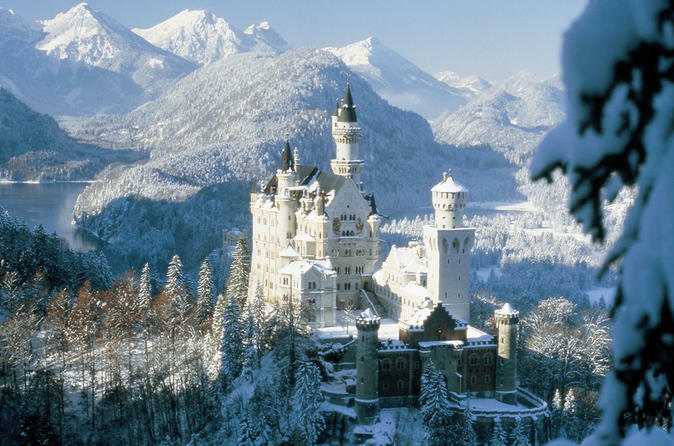 Visit Neuschwanstein Castle on a half-day skip-the-line tour from Füssen! 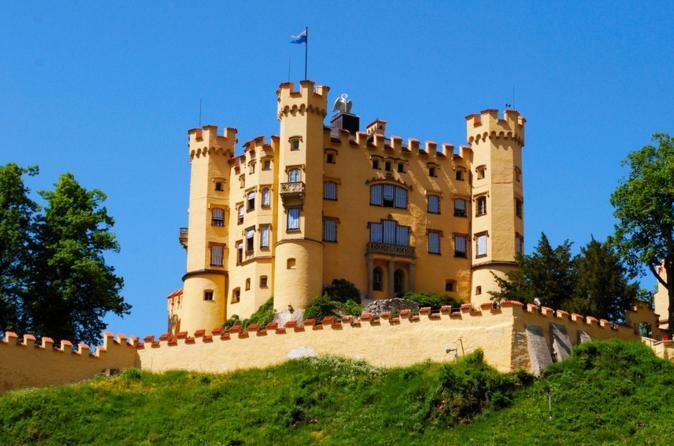 After arriving in Hohenschwangau, hop on a shuttle bus and head inside the fairy-tale castle for a walking tour, learning all about King Ludwig II, for whom Neuschwanstein was built. After hearing the history from an expert local guide, enjoy a horse-drawn carriage ride back to the village of Hohenschwangau, stroll around Lake Alpsee and return to Füssen. 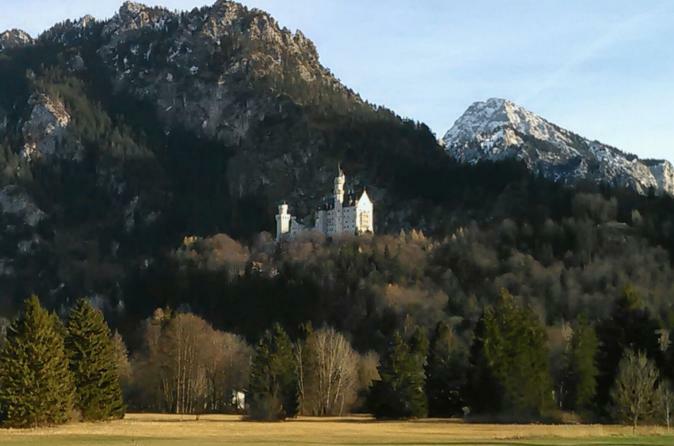 This skip the line 4-hour express tour begins in Füssen at 9am and includes the entrance fee to Neuschwanstein castle, a friendly tour guide and transport service. Note: This tour accommodates the transportation, ticket, and entrance to the castle. Your guide is not responsible for the actual tour of the castle and is not required to enter with your group. This tour will be an experience that you will never forget, providing everything you are looking for on your holiday: castles, sightseeing, nature, The Alps and Austria. Don't miss the opportunity to see some of the most interesting and beautiful places in the area. Skip the line with express ticket and save precious vacation time and unnecessary stress by standing in the line for hours waiting to get a ticket to visit the Neuschwanstein Castle. Choose between picking up your tickets in person or having them delivered directly to your hotel. Alpine peaks, hidden castles, and crystal-clear lakes: plan to discover the wild Bavarian landscape on this 4-hour bike tour. 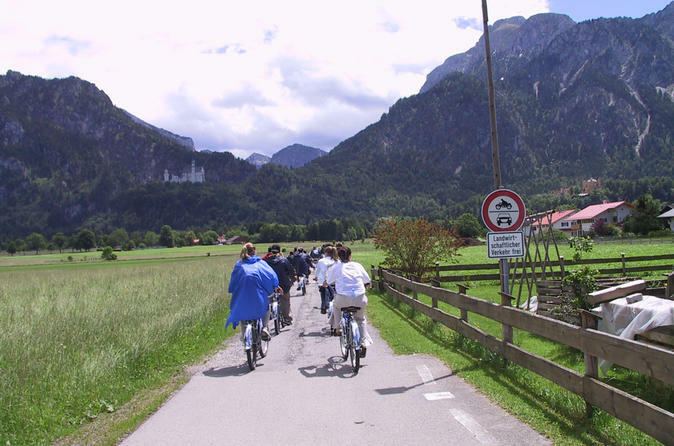 From the charming town of Füssen, you'll bike along the Lech River towards the Hohenschwangau and Neuschwanstein Castles. Discover both landmarks before being picked up for a return trip to Füssen. 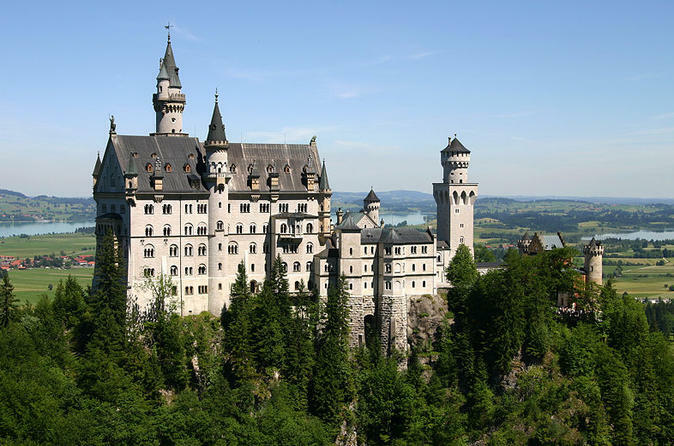 Enjoy a private 8-hour day tour from Fuessen to Neuschwanstein Castle, Oberammergau and Linderhof Castle. Start your trip at 9am from Fuessen City Center and skip the line at Neuschwanstein Castle and Linderhof. 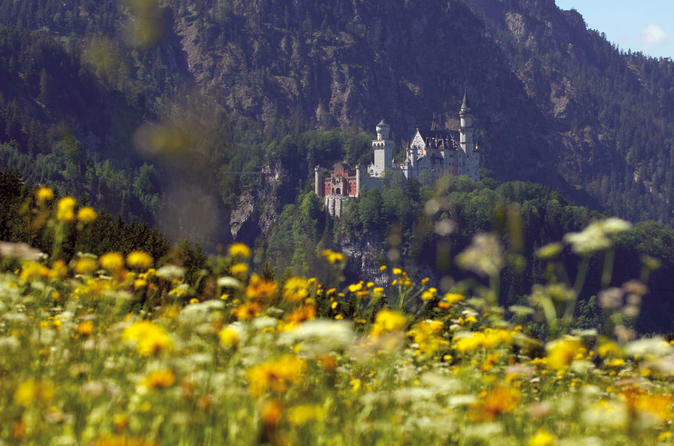 Skip the line at Neuschwanstein Castle on an afternoon tour from Füssen, and enjoy free time to explore Hohenschwangau village, too. The 4-hour excursion not only includes fast-track access to King Ludwig II’s fairy tale castle, but a tour of all its must-see rooms. See the king’s bedroom, Minstrel’s Hall and more with a guide, and then explore the grounds independently. Finish with free time for lunch or more sightseeing in Hohenschwangau before the journey back to Füssen. 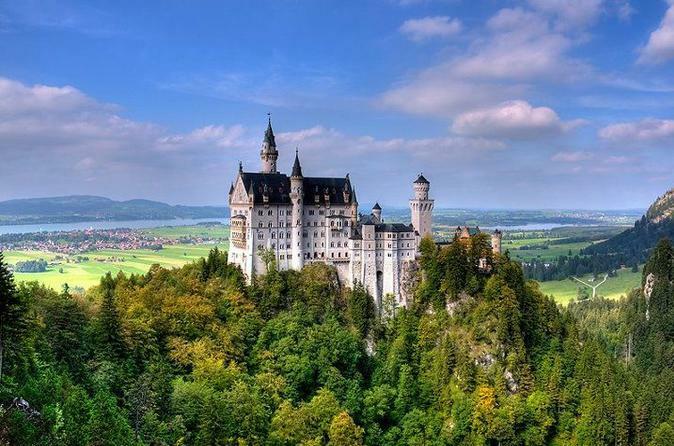 Join a half-day tour to Neuschwanstein Castle and Hohenschwangau Castle (entrance not included), through the old town of Fuessen and to the waterfall at the boarder to Austria along the Alps. 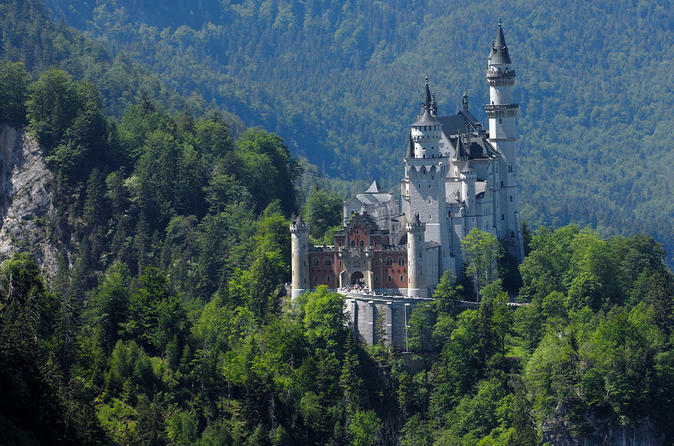 Enjoy skip-the-line entrance at Neuschwanstein Castle and a round trip from Fuessen.